If you’re an electrician or any sort of technician that works with wire and cable, you know that hunting down the right parts can be frustrating. That’s not a fun part of the job, and here at EWCSWire, we’d like to remove it entirely. How can we do that? By offering every wire and cable you could possibly need in one place. That’s right, you’re looking at your final solution to any equipment issues. No need to search endlessly for all the parts that one job requires; you can get them all on the same website. 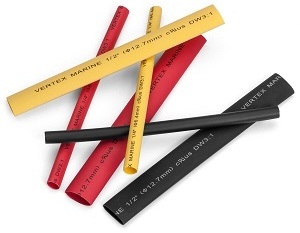 So, whether you’re in the mood for some heat shrink tubing, or your job requires a marine battery cable, we’ve got you covered. Have you ever been in a situation that simply cannot be mended with the equipment at hand? It’s never a fun spot to be in. You may understand that you can’t have all the cables necessary at all times, but depending on the severity of the fix, your client may not understand this. They may need it to be fixed as soon as possible, and they aren’t willing to wait around for long. In these moments, you need to have a source for cables that you can rely on. EWCSWire boasts quick delivery, and we stand by it. Your order will most likely arrive 2-3 days after you place it; that’s quality service, right there! That means, instead of an angry customer calling you for a week while you piece everything together, you can satisfy their needs before the storm arrives. So, what kind of wires and cables do we sell? Well, outside of the marine battery cable and heat shrink tubing mentioned earlier, you’re looking at just about everything that you need! That includes fire alarm cables, marine wires/cables, copper wires, and really anything that you could think of. We aim to please our technician community, and we wouldn’t get very far without an extensive list of products. We’re also well aware of the need for high quality, and we strive and succeed to obtain the highest quality wires and cables. You can’t have a fire alarm cable that has any faults; that could lead to deadly consequences. The same can be said about any cable we sell, and that’s why we only sell the finest. No matter what kind of job you’re working with, you’ll take solace in the fact that the materials you use are the best around. We love our product selection like we love our customers, and we want you to have a great experience shopping with us. If you have any questions about our wires and cables, don’t hesitate to ask. Our customer service representatives are well versed in our product line, and we’ll be able to steer you in the direction that suits you best. When you’re looking for all of your wire and cable shopping in one spot, you’re looking for EWCSWire. We look forward to your visit, and we know you’ll find what you need! Previous PostPrevious In Need of a 4/0 Welding Cable?